IDF soldiers prevented what could have been a terror attack committed by the youngest terrorists ever when they arrested two children who were waving knives outside the Gush Etzion community of Migdal Oz. The children, residents of the village of Beit Fajjar, were eight years old. The two were observed acting in a wild manner by security officials in Migdal Oz. They were detained, and told interrogators that they had been instructed by older terrorists to stab Jews. They were transferred to Palestinian Police forces. In another child-related weapons incident, police arrested an Arab woman who was pushing a baby carriage – that turned out to be full of illegal weapons. 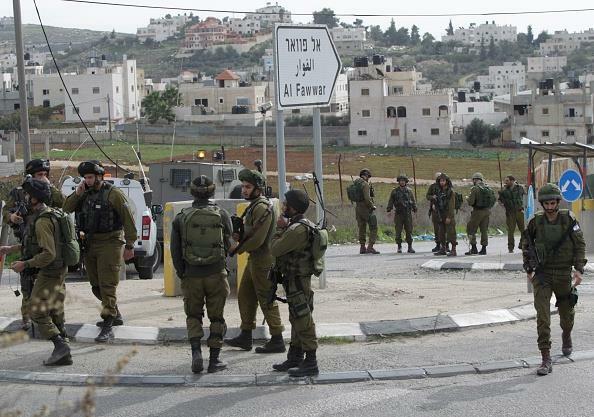 The incident occurred as police on Wednesday raided homes in the Negev Bedouin villages of Hura and Lakiya. In one home, officers noticed an Arab woman rushing out the back door hurriedly pushing a baby carriage, and when she was asked to open the cover on top of the carriage, she loudly protested that she “did not want to wake up the baby.” Eventually, they were able to pull the cover off the carriage, and discovered the weapons – but no baby. Overnight Wednesday, security officials said they arrested eight wanted security suspects in other areas in Yehudah and Shomron. The suspects were wanted for participating in rioting and throwing stones and firebombs that endangered Israeli civilians and IDF soldiers. Several of the suspects were also charged with belonging to Hamas. All were being questioned on their activities by security forces.